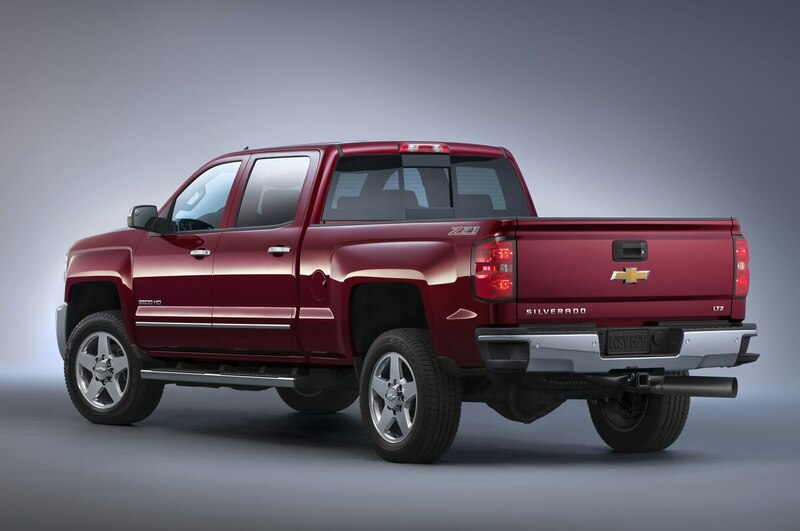 Although the 2011 Chevrolet Silverado HD and GMC Sierra HD pickups were nearly indistinguishable from the 2010 models, significant improvements included a fully boxed frame with an updated Duramax diesel engine and Allison transmission. 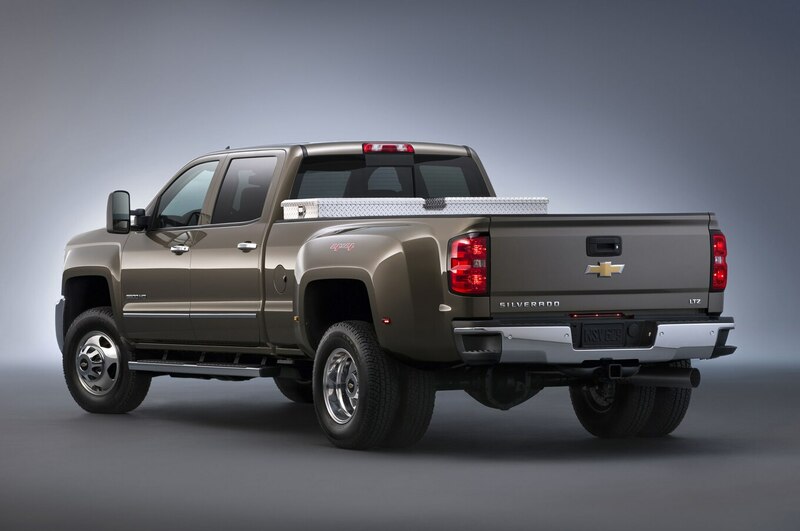 Visual updates are finally part of the package for the revised 2015 Chevrolet Silverado HD and 2015 GMC Sierra HD trucks, which also receive upgrades under the sheetmetal as well. 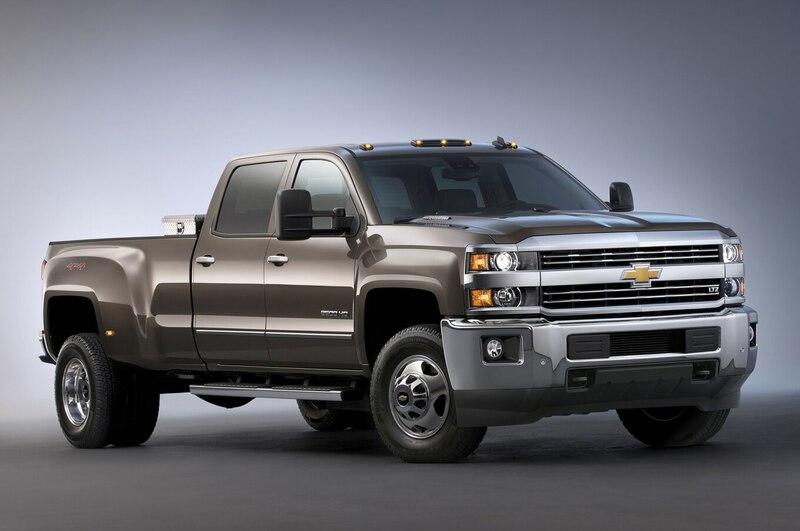 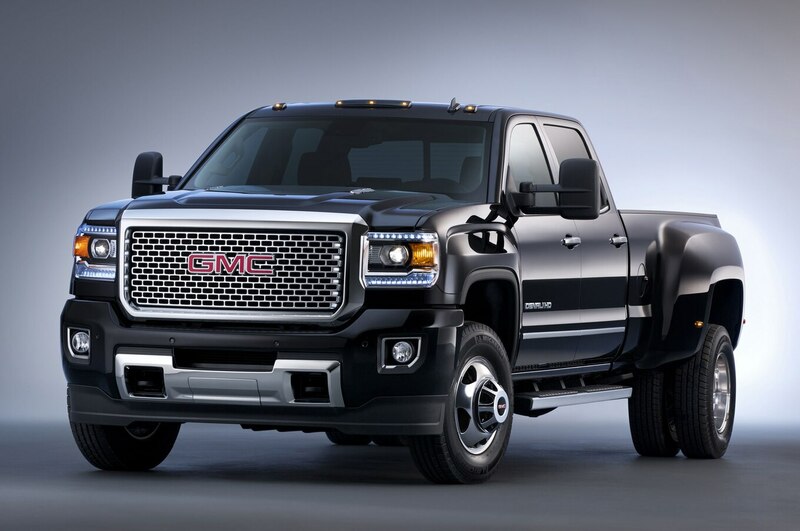 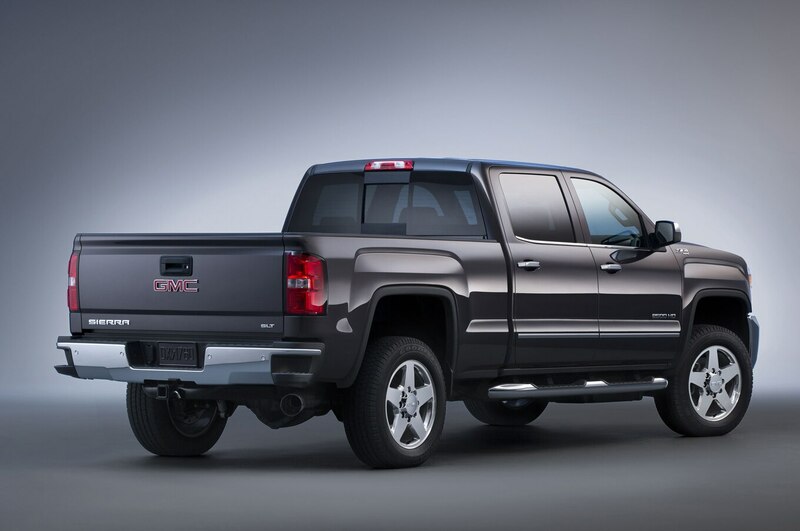 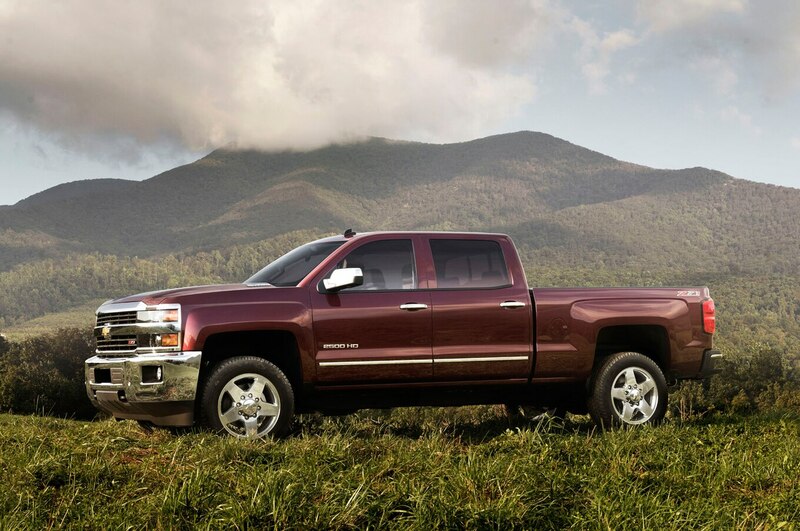 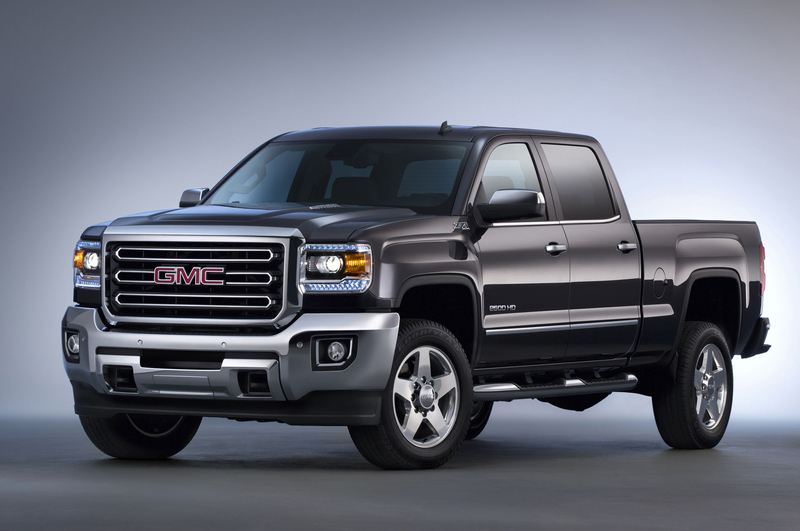 While 2015 Chevrolet Silverado HD and 2015 GMC Sierra HD models use essentially the same cab and beds as the 1500 models, the front ends feature larger grilles with chrome trim and cooling intakes, a new hood and headlights, and chrome bumpers. 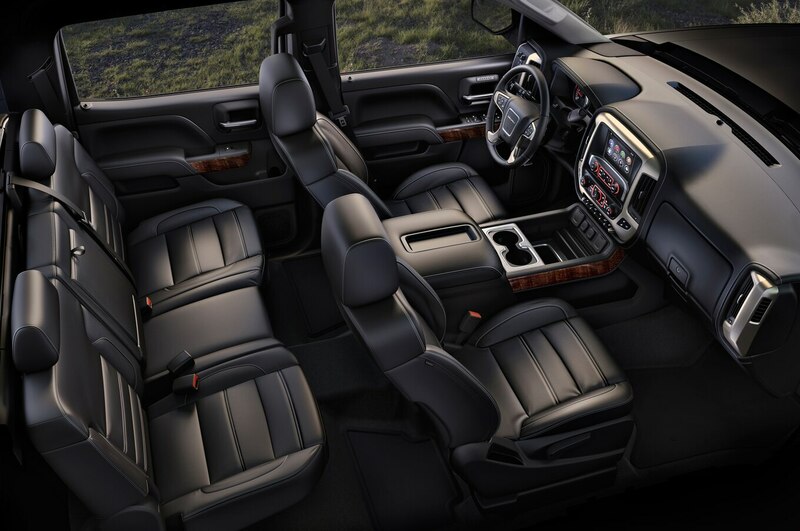 Other changes increase reduced interior noise and increased efficiency. 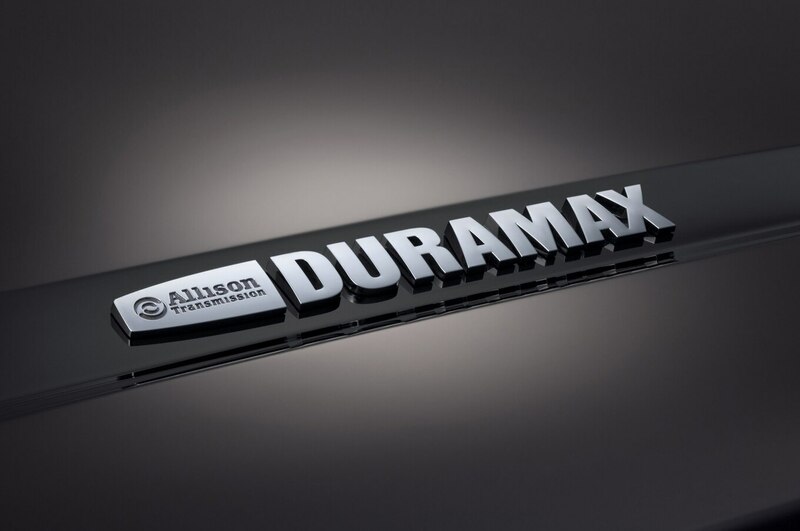 Improved cooling ability comes from a new sealed front end that uses cooling air more efficiently as well as the engine air intake located outside of the hot engine compartment to better maintain power levels while hauling and towing in hot weather. 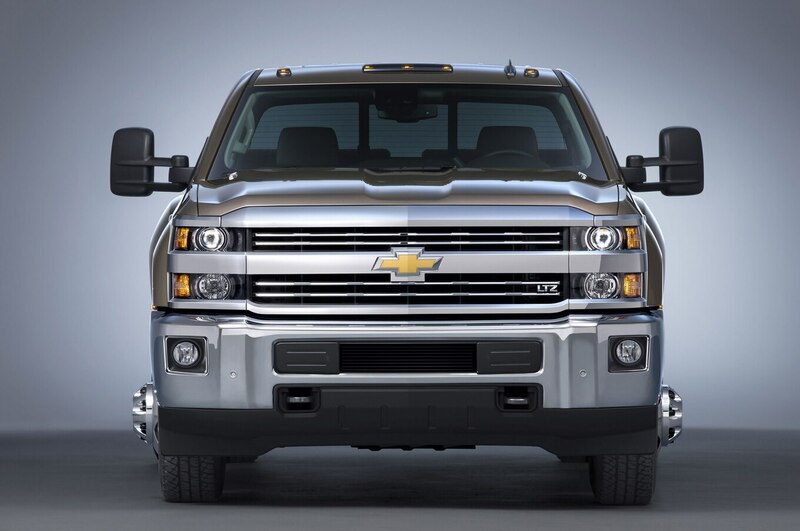 Like the redesigned 2014 Silverado and Sierra 1500 models, heavy-duty pickup cabs feature high-strength steel construction with inlaid doors and triple door seals that improve aerodynamics and reduce wind and road noise. 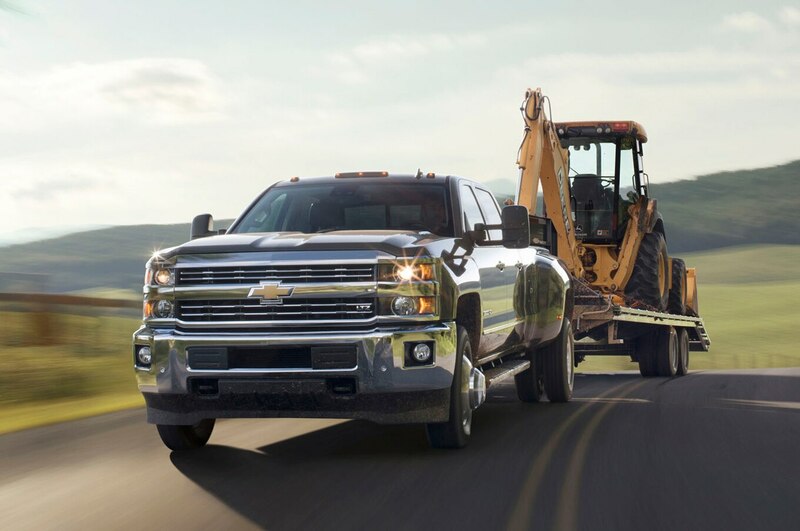 Hydraulic body mounts also reduce noise and vibration. 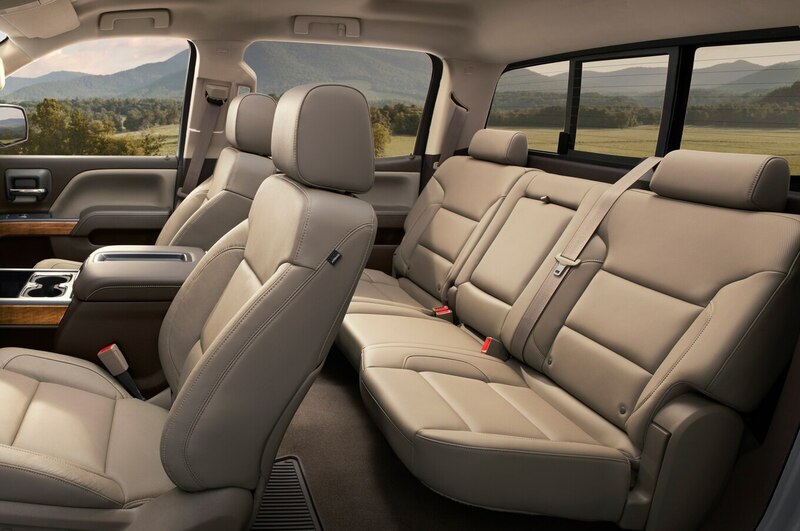 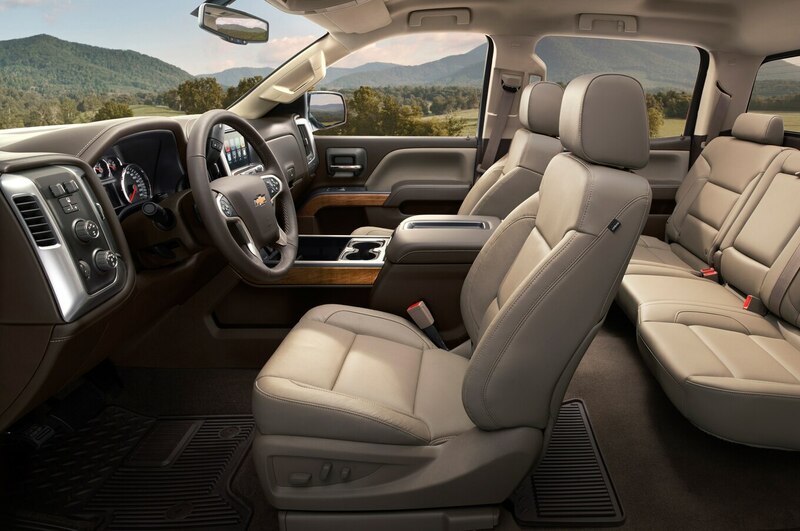 The 2015 Silverado HD and Sierra HD models also get a similar interior layout to their light-duty counterparts, with more space and storage options. 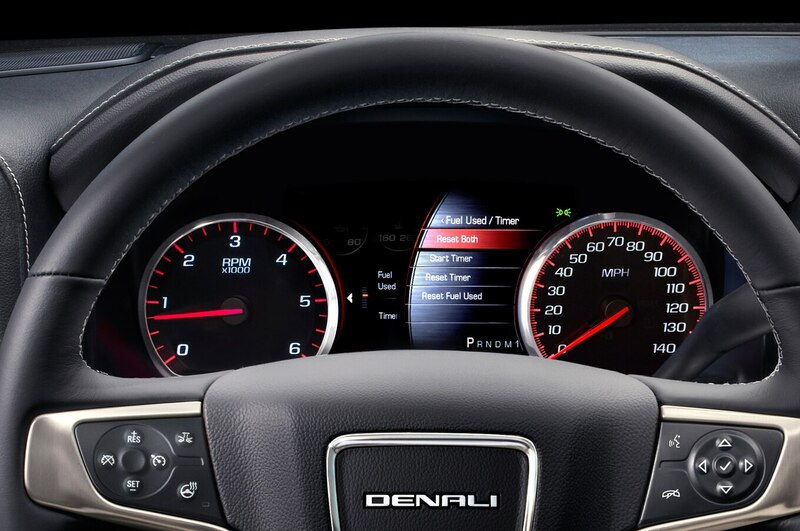 MyLink, IntelliLink, and a larger infotainment screen are also available. 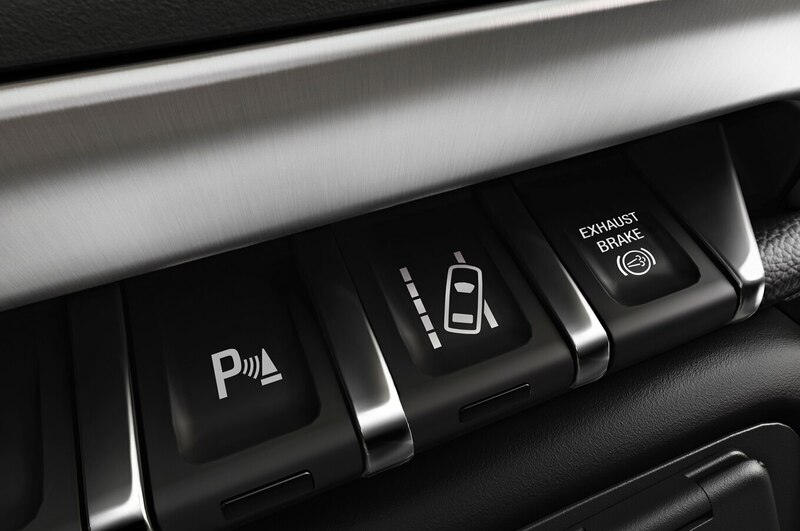 Safety features include available Driver Alert Package (Forward Collision Alert, Lane Departure Warning, Safety Alert Seat), rearview camera, front and rear park assist, side curtain and seat-mounted side airbags (standard on 2500, optional on 3500). 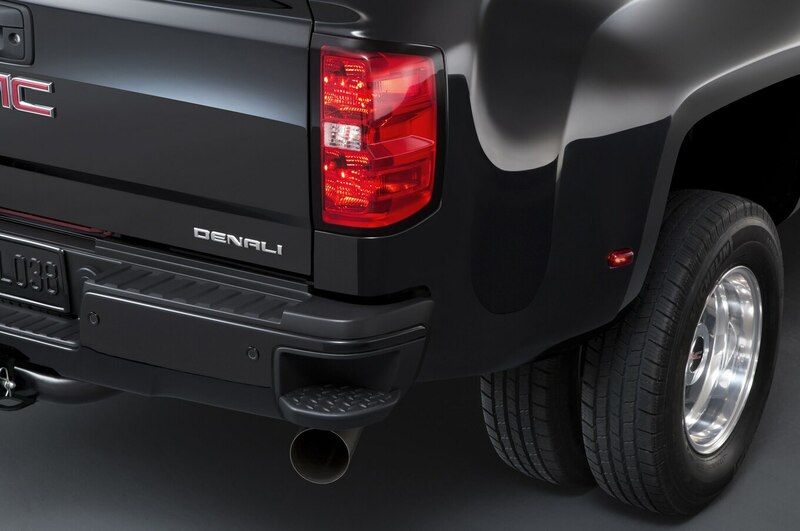 The new bed features the CornerStep rear bumper from the light-duty trucks as well as hand grips molded into the standard bed rails, EZ lift tailgate with damper, upper tie-downs, and under rail LED lighting. 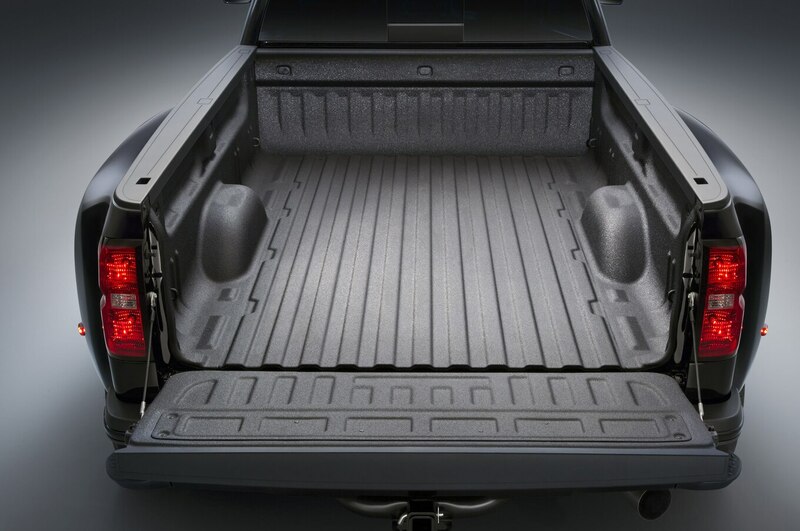 A spray-on bed liner is a factory option. 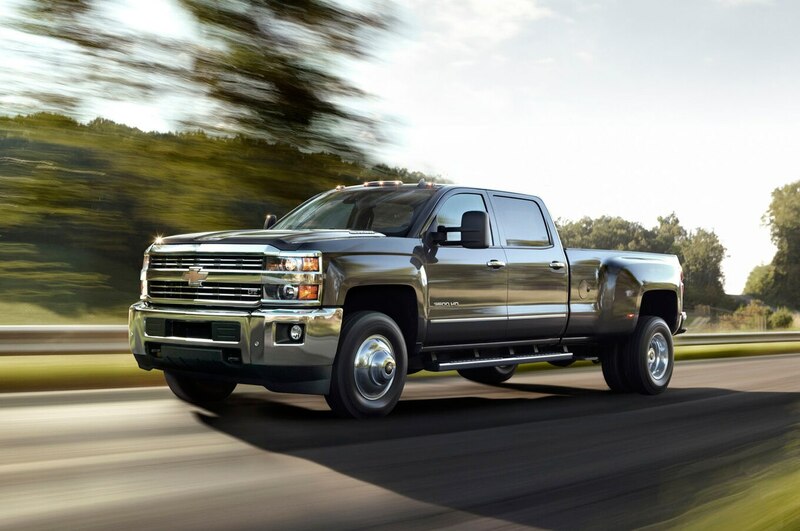 Towing features include standard trailer-brake control and StabiliTrak with trailer sway control, hill-assist start, hill descent control, and cruise control with grade braking and exhaust braking on diesels. 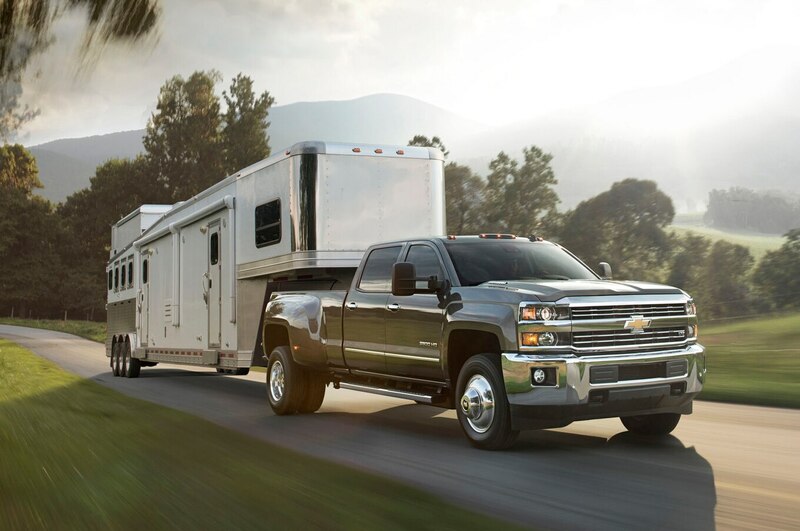 Payload capacity is claimed to be 7374 pounds while the maximum towing capacity with a factory hitch is 19,700 pounds, or 23,200 pounds for fifth-wheel trailering. 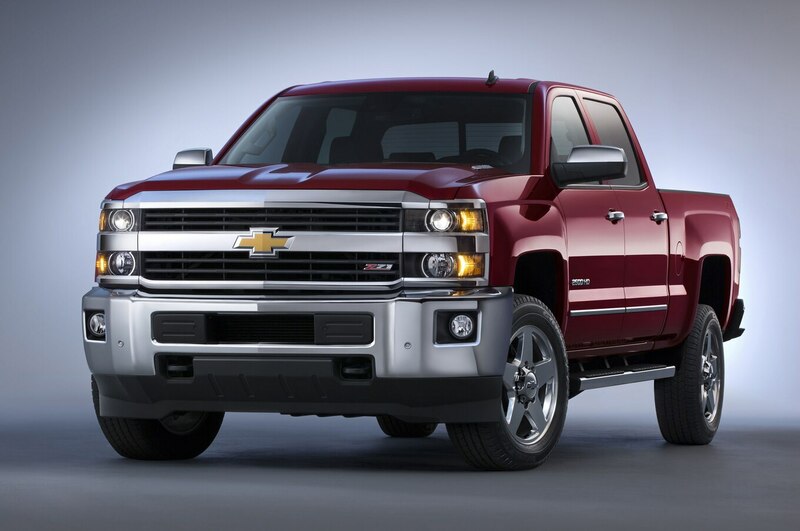 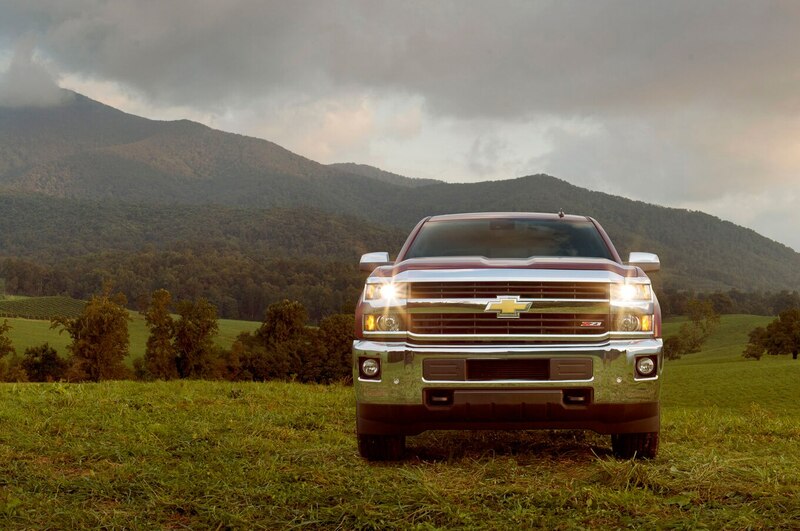 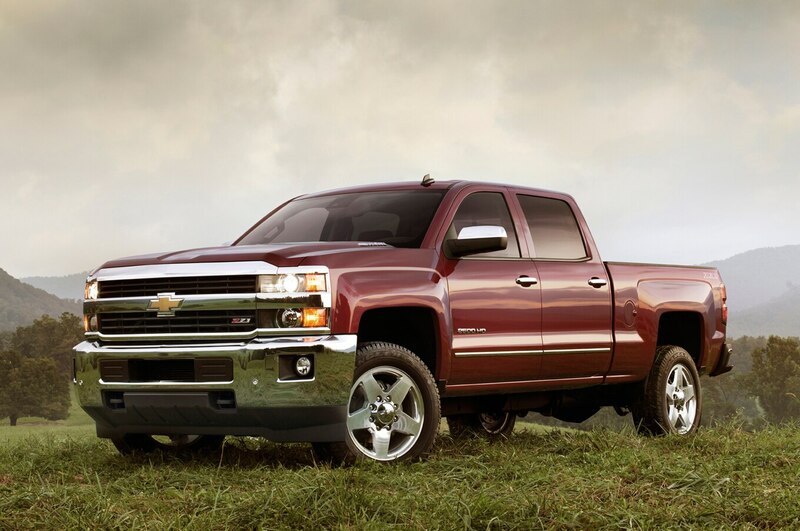 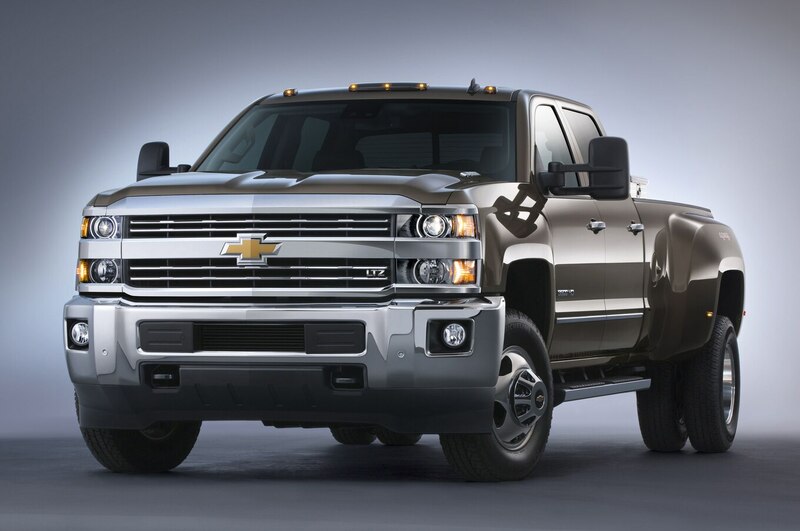 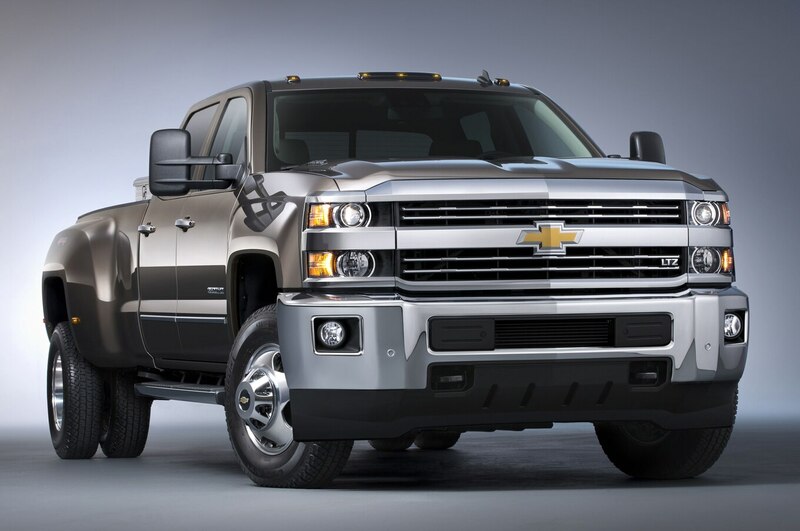 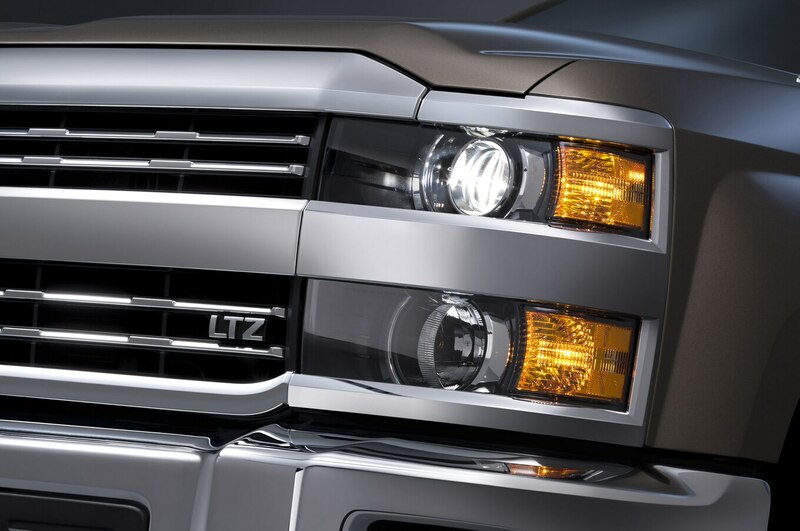 For 2015, the powertrains of the Silverado HD and Sierra HD are unchanged. 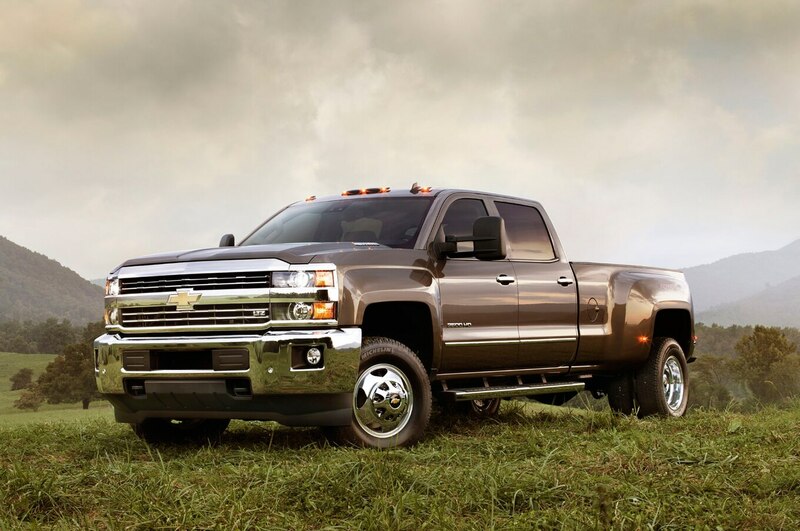 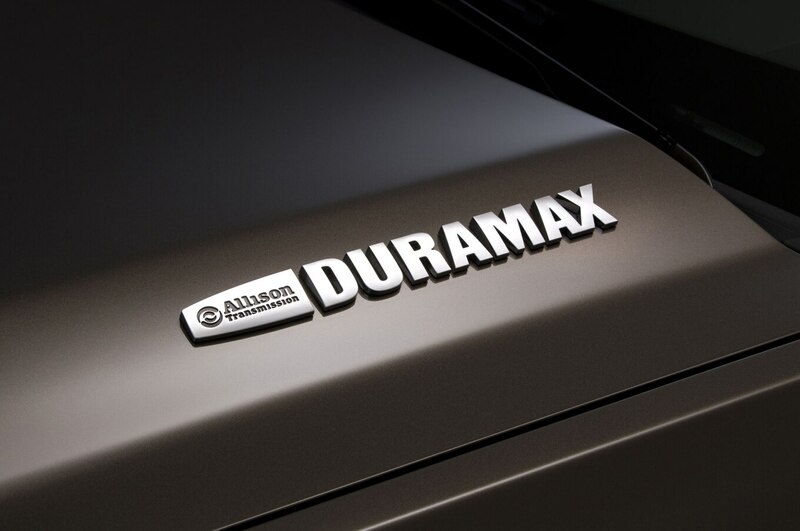 The gas-powered 360-hp 6.0-liter V-8 with 380 lb-ft of torque remains the base engine, while the 397-hp, 765 lb-ft 6.6-liter Duramax turbodiesel V-8 is optional. 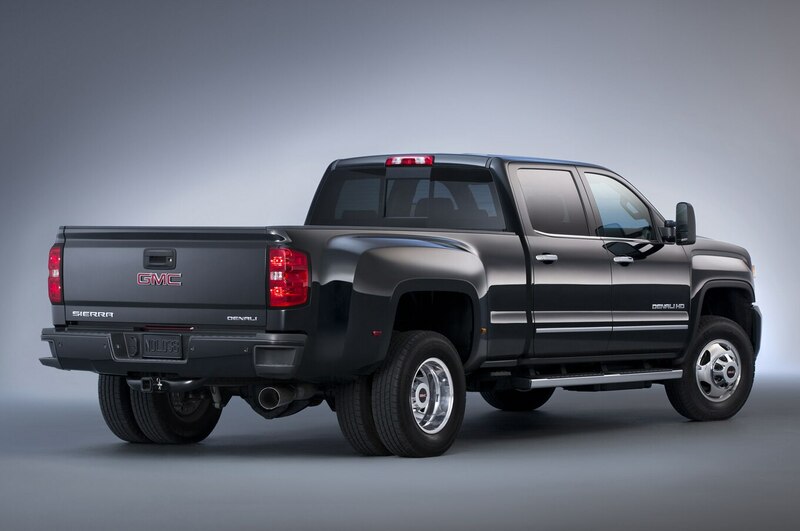 A bi-fuel (gas or CNG) version of the 6.0-liter V-8 is also available. 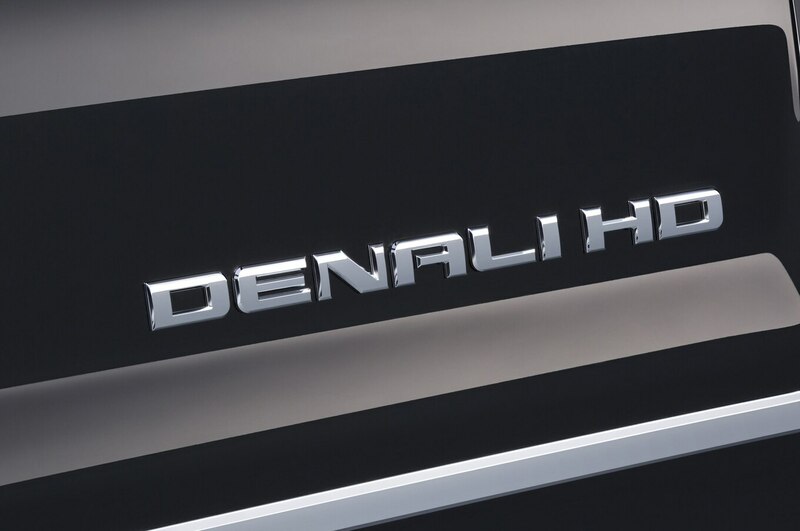 GM says about two-thirds of all heavy-duty trucks are diesel-powered, and with more than 25 percent of all full-size trucks in the U.S. heavy-duty models, it looks like GM’s HD duo may have what it takes to stay competitive.